Somehow I've ended up at The Slanted Door at all three of my most recent trips to San Francisco. 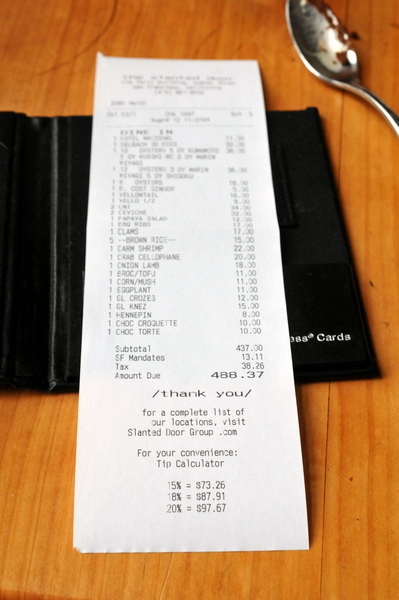 The Slanted Door seems to have as many detractors as it does fans and I am well aware that the accusation I leveled against Yank Sing could also be applied to The Slanted Door basically that it is overpriced food meant to fool foreigners. The difference for me is that while The Slanted Door may be a touch pricey, the ingredient quality is markedly better and the contemporary menu features many dishes not found at traditional Vietnamese restaurants. We ended up trying all six oysters the restaurant had on offer. The Kumamoto was the most balanced, with a medium-body and an initial sweetness followed with a growing sensation of brine. The Kusshi's were creamy and sweet though the slight funk was a bit disappointing. The Marin Miyagi was the most difficult of the sextet, lean, snappy and shot through with a bitter vegetal minerality. The Shigoku was well balanced like the Kumamoto though perhaps a bit creamy and less muscular. 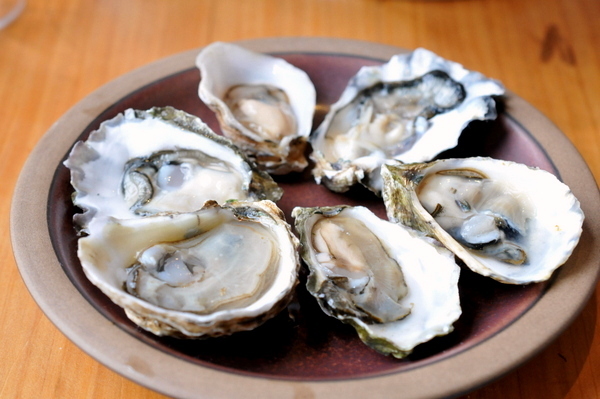 The Drakes Bay was a creamy light-bodied oyster with a lingering satisfying flavor. The only East Coast oyster of the group, the meaty Chathams soften upon mastication with a zesty creepy funk. 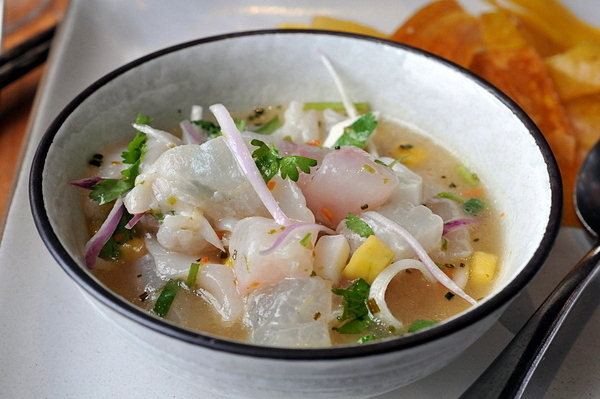 I absolutely adored the Slanted Door's take on ceviche, the fresh seafood has the requisite acidity with a bold undertone of habañero heat, but with a pungent tropical savor thanks to the addition of fish sauce and coconut. The plantains had a slightly sweet dry chip-like crunch; a wonderful counterpoint to the plump sauce drenched seafood and vegetables. I always make a point to order one of these spoonfuls of goodness. 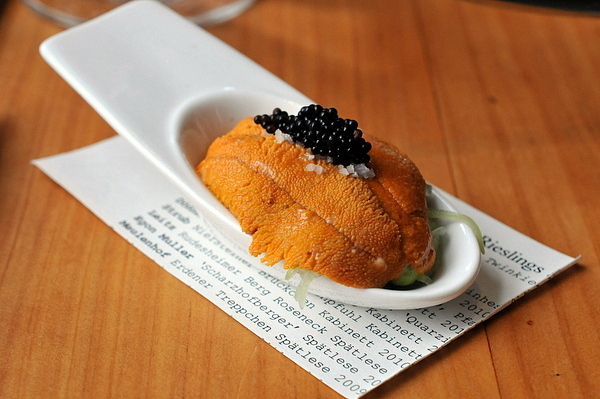 The natural flavor of the velvety uni is augmented with the salty bite of black tobiko and rock salt. The underlying vegetables provide a textural levity and doused with an electrifying citrus marinade. Personally I find the combination delicious, though I could understand how an uni purist might aruge that the intense acidity overwhelms the roe. Another must order dish whenever I visit. The sushi-snob in me recognizes that the yellowtail isn't necessarily the highest quality, but the enchanting savor of the shallot and fragrance of the basil outshine any deficiences in the fish itself. 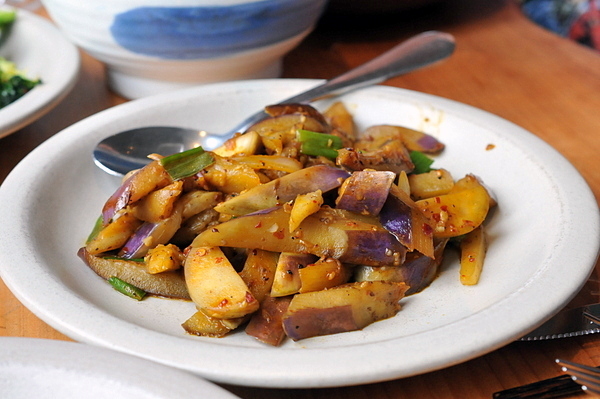 A popular South Asian dish, this is one of my favorite salads. 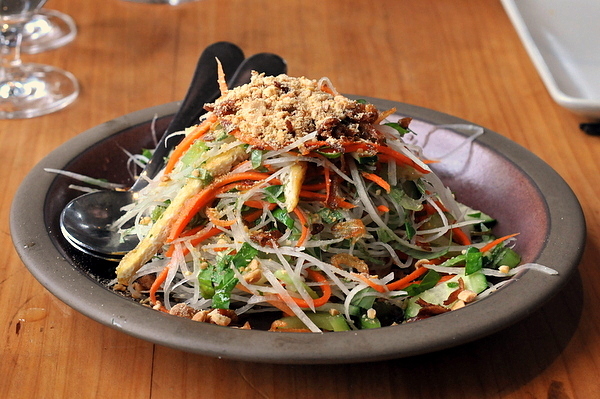 The refreshing crunch of the green papaya gives the dish a light body while the blend of lime, fish sauce, palm sugar and chilis; an intoxicating blend of bold flavors. I had low expectations for the ribs but they turned out remarkably well. 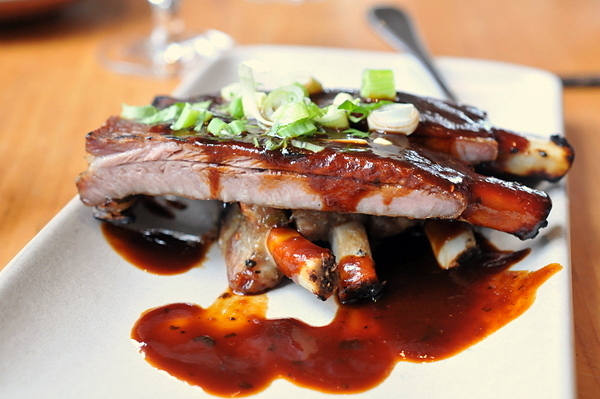 The meat is on the lean side but remains tender and moist with a wonderfully luscious char. The sauce has a distinctly salty-sweet Asian flavor tempered by the zest of scallion and cilantro. This was the only real letdown of the entire meal. The clams were overcooked and a number of them still had sand. 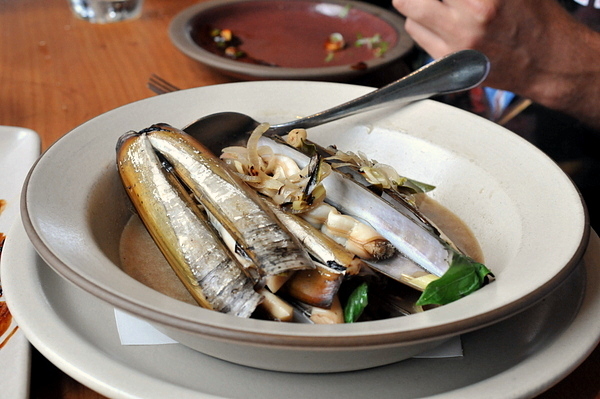 The broth comes brimming with the fragrance of lemongrass but the herbs weren't enough to overcome the slightly brackish flavor of the clams. The meal got back on track with this course. 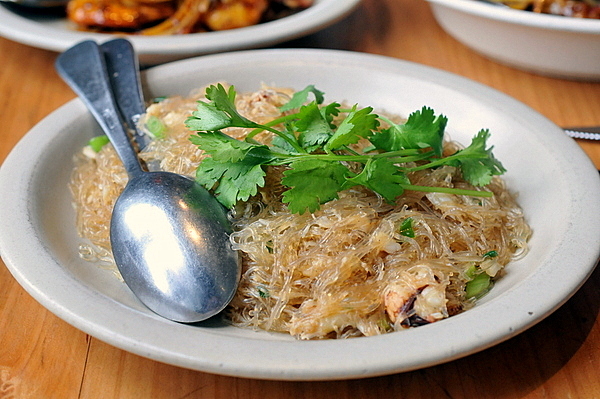 There isn't much on the plate but delicate yet distinctive salinity of the crab was more than enough to season the cellophane noodles. 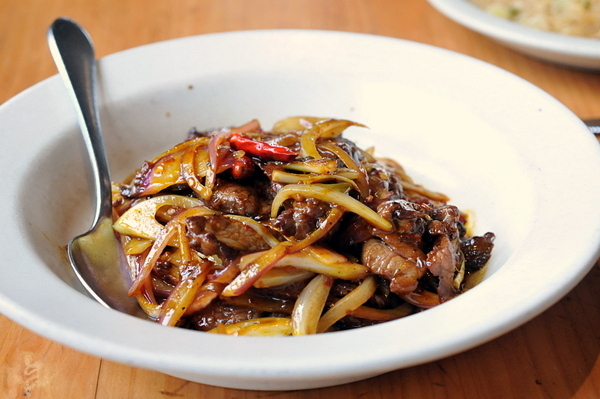 The caramel chili sauce on this dish immediately caught my eye and the spicy sweetness coupled with the fragrance of the sauteed garlic and onion was tasty if a touch blunt. 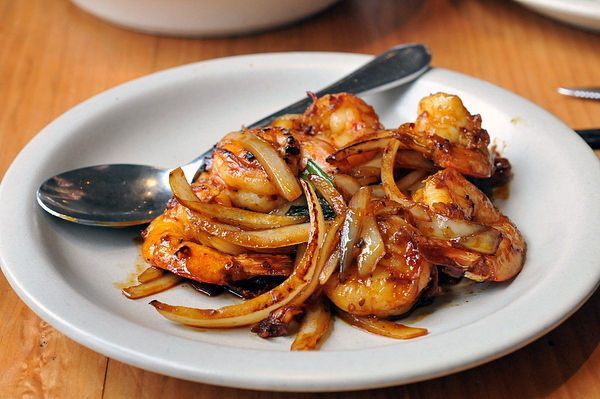 Unfortunately the shrimp was overcooked and the rubbery texture was an unwelcome distraction. This wasn't the best quality lamb, a touch stringy with a strong gaminess however the caramelized onions and robustly spicy sauce were enough to mask the latter issue. I wouldn't have ordered this but my companions insisted. 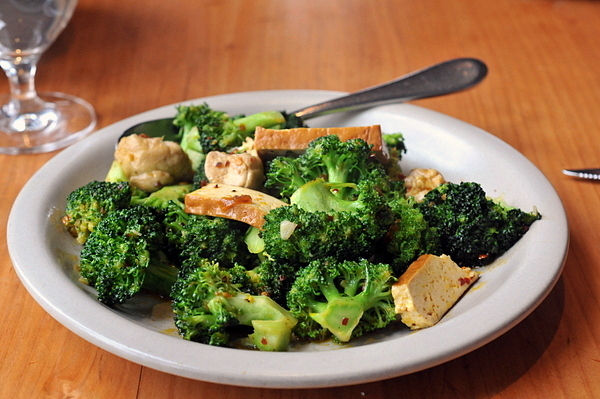 The broccoli was well cooked but the firm tofu and musty lion's mane mushrooms didn't work for me. The fresh summer corn displays a dazzling sweetness that needs no artifice but I appreciated the accompanying spice nonetheless. 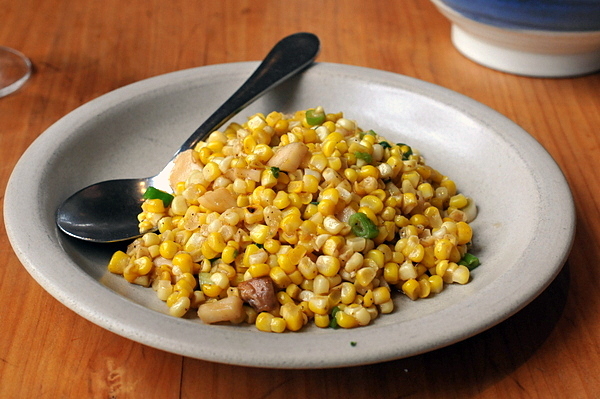 The mushrooms have a plump meaty consistency while their earthy flavor acts as a break on the corn. Never a fan of eggplant, I really struggled with this dish. The combination of coconut milk and chili was satisfying but I couldn't get past the disconcerting texture of the eggplant. This was far and away the most interesting sounding dessert on the menu. My experience with chocolate and avocado at LudoBites didn't go so well. 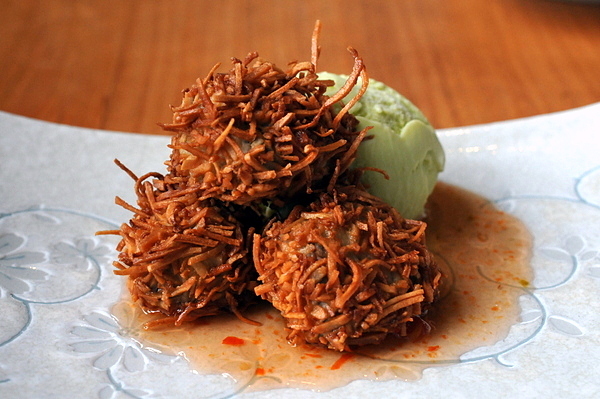 Here the croquettes have a palpable fried sapor that pairs nicely with the spicy-sweet jam and creamy savor of the ice cream while the chocolate marks this firmly as a dessert rather than a savory dish. 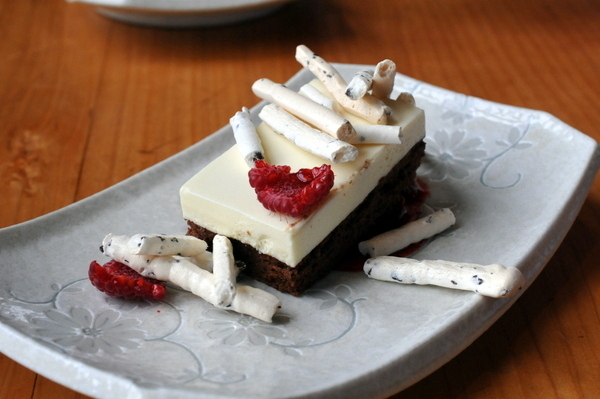 A fairly conventional dessert, particularly compared to the croquettes. The chocolate and raspberries are a satisfying if uninspired combination, but the dusty crunch of the meringues was a nice touch. Like with my last visit not all the dishes worked for me; the clams were the only outright failure, but the lamb and shrimp were not without their faults. I also had issues with the broccoli and eggplant but those were more a matter of personal taste rather than any flaw inherent to the dishes. 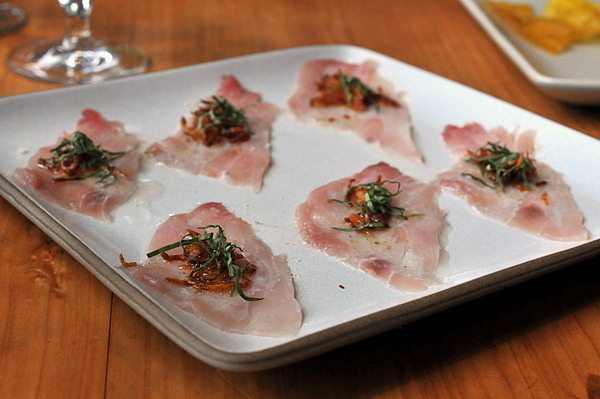 To their credit, the restaurant's raw dishes and appetizers are superb and well worth trying.